Why Is Everyone Switching To The Cloud? Cloud telephone systems work on a plug and play basis, these types of phone systems work well for the small businesses, you can take advantage of a large feature set with a cloud phone system without the need of investing into expensive onsite hardware with large monthly running costs. Many businesses are switching to cloud phone systems in wake of the ISDN switch off, by 2025 your businesses telephone system will need to run via SIP, Cloud or VoIP. Cloud telephone systems are perfect for adding a phone system with a large feature set, with minimal costs. Can I take my phone number with me? Yes you can! You can move your phone number to the cloud and take advantage of a sleek feature rich cloud-based telephone system. If you move premise you can always take your phone number with you to the new location, moving office is very simple with a cloud phone system, just take the handsets and plug them into the new office, it is that simple. Should I Move To A Cloud Telephone System? The short answer is YES, if you have fast fibre available to your business in your area, you should always be open to switching to a cloud phone system. With no physical hardware on-site and no hardware to maintain or upgrade, as all upgrades are free and based within the cloud, you even get your own online portal for adding users or making changes to the phone system. What To Look Out For With A Cloud Phone System? Always ensure that the broadband service is resilient, make sure that your broadband can handle the number of handsets you would like to move to the cloud, the broadband service is key, make sure the broadband is resilient and can handle the cloud phone system, or you could run into issues. Call recording can be switched on and off. Use your main number to communicate with by text. In the unlikely event of a loss of service at your site. Inbound and outbound calls are logged. Cloud telephone systems work well for all size businesses, they particularly work well with smaller businesses, as there are very minimal upfront costs whilst including a very large feature set. With a cloud telephone system, it’s very easy to set-up, our engineers can do this via a short site visit or, a self-install, we can run you through everything step by step. 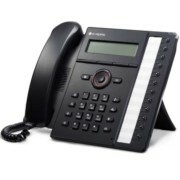 Cloud telephone systems are very simple and connect to your broadband or fibre network, this then allows you to make calls and receive calls with crisp voice quality. Thinking of switch to a cloud telephone system? Give us a call for free expert advice, in some cases, we can get you up and running on the same day. Cloud telephone systems are simple yet effective, B4BC cloud phone systems incorporate a sleek interface ensuring that all staff can operate the cloud phone system with ease. With the B4BC cloud phone system, you have access to your online admin portal, which allows you to update settings from anywhere, anytime. There is no need for bulky hardware on-site with a cloud telephone system, there is no need for ongoing maintenance and costly IT support. 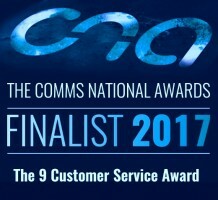 The B4BC cloud phone system is powered by an award-winning cloud portal, recognised by comms nationals. B4BC will help your business to maintain your cloud phone system, with a personal in-house account manager. The B4BC cloud telephone system is supported by HP C3000 blade systems, your data is in safe hands. With the B4BC cloud telephone system, your personal call data is always protected. Our assured line service means that you will enjoy consistent crystal clear sound quality. B4BC offers various packages when it comes to cloud phone systems, we are competitive within the marketplace with simple fixed monthly plans, with minimal upfront costs with an easy to manage pay per seat basis. Cloud telephone systems are very scalable, adding extra lines/ handsets is as simple as plugging in a new handset, that’s it! No need for licenses or engineers to configure the handset to the system, just plug and play. Best 4 Business are innovators for cloud phone systems. We recently launched our new cloud platform, with this brings sleek cloud telephones, improve new interfaces & much more features, making telephony easier for the end user. This new platform is fully supported by HP c3000 blade centres. which incorporates multiple redundant PSU’s for business continuity, Intel quad-core processors & 1000s of GB storage. Cloud telephone systems work by moving telephone system into a data centre, this then registers the handsets for the end users, this then sections of the phone system for the subscribed users. Whereas a traditional PBX system uses ISDN lines to route calls, & cloud telephone systems use SIP & VoIP. Cloud telephone systems favour growing businesses, due to low set-up costs & ease of deployment. The fast initial setup & ease of deployment for cloud phone systems means minimal installation & hardware costs. Cloud phone systems are great for businesses who have a limited capital expenditure. With minimum agreement periods & an easy to manage budget solution that is based on a per seat basis. 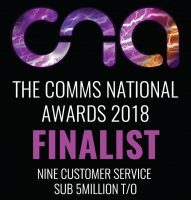 B4BC was recently shortlisted for the best cloud solution 2018 & best customer service. We ensure that all customers who choose our bespoke cloud telephone systems get their very own server & portal, which mirrors a traditional phone system. We customise the cloud phone system to your business requirements, hence no two cloud phone systems are the same. 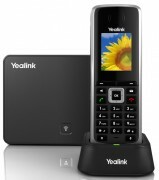 Cloud phone systems are suitable for all businesses, large or small. Whether your cloud telephone system is for 2 or 20,000 users, Best 4 Business Communications has cloud telephones to meet your business requirements. We are experts in cloud phone systems, we can with all your cloud telephone systems inquiries. 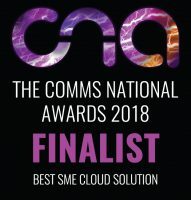 Best 4 Business Communications provides award-winning cloud phone systems for business, virtual systems are hosted within the cloud, which negates the need for maintenance & costly installations. This solution is now considered the go-to solution as the ISDN switch off looms closer. 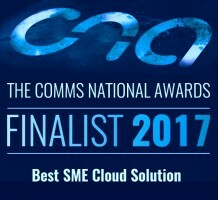 Our solutions for cloud telephone systems are recognised by comms nationals & comms business. Cloud telephone systems are effective for large & small businesses in terms of growth, features & scalability. For more information on cloud phone systems, Contact Us for all your cloud telephone systems inquiries. If you are still unsure about cloud phone systems, see our cloud phone systems Blog Article, which details reasons why businesses should be moving to cloud telephone systems. Choose the best cloud phone systems for your business, choose the “Best Cloud Solution 2017 & 2018”. B4BC is also recognised for having the best customer service for 2017 & 2018. Speak to friendly account manager to find out more.